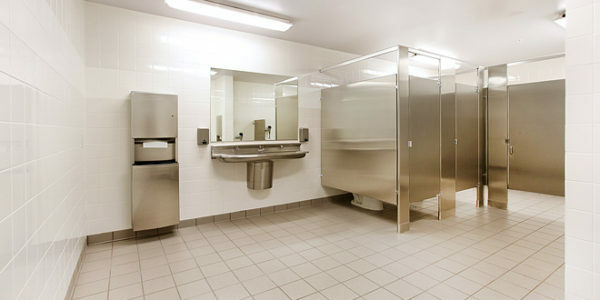 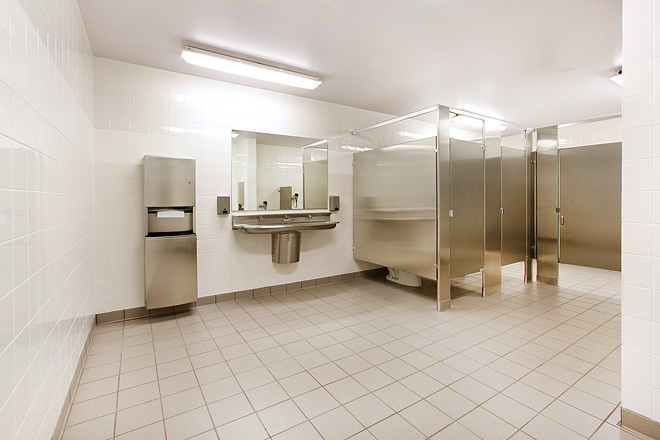 This project combined the use of several resilient finishes, each designed with weight capacity and style in mind. 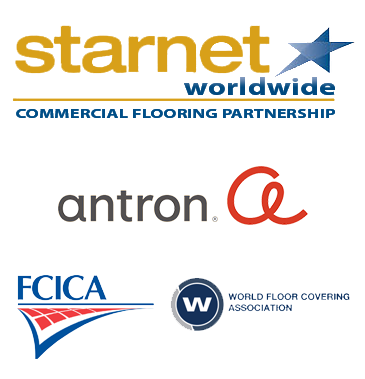 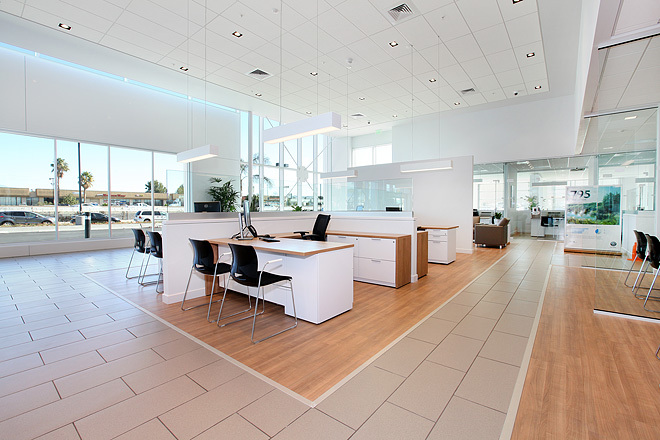 Daltile’s porcelain tile was installed throughout the open space, with inlays of laminate flooring from Pergo installed in Waiting Areas and desk jump stations. 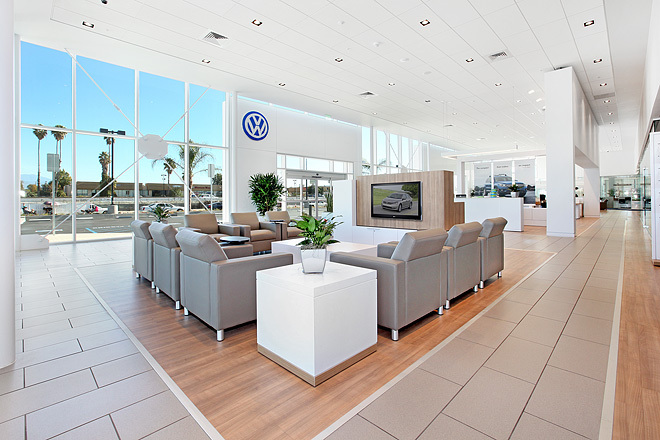 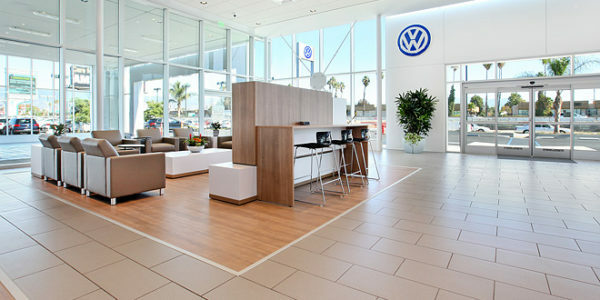 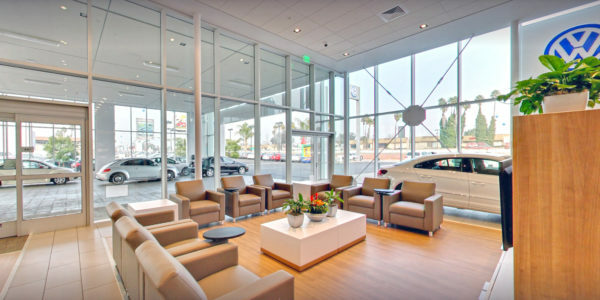 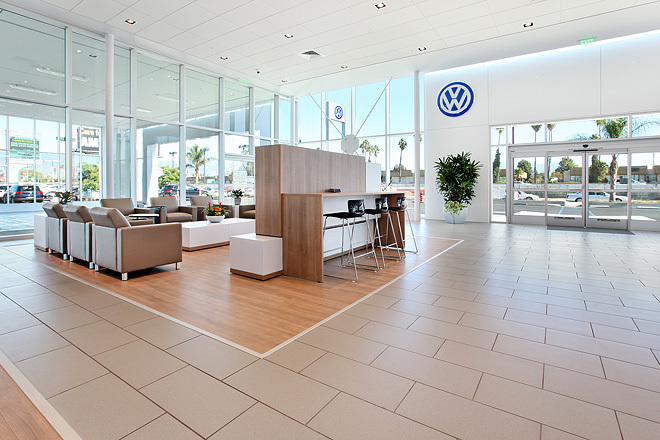 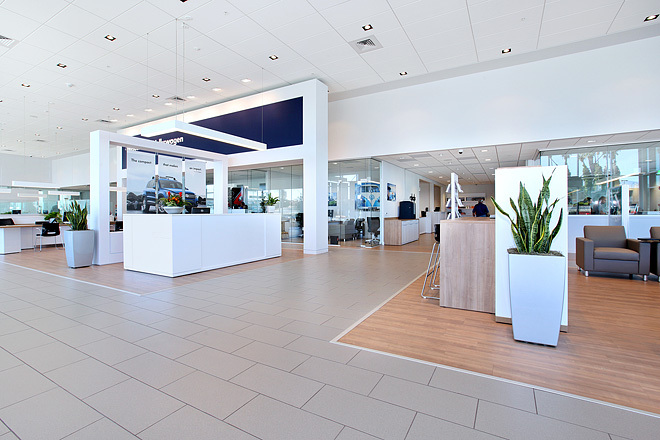 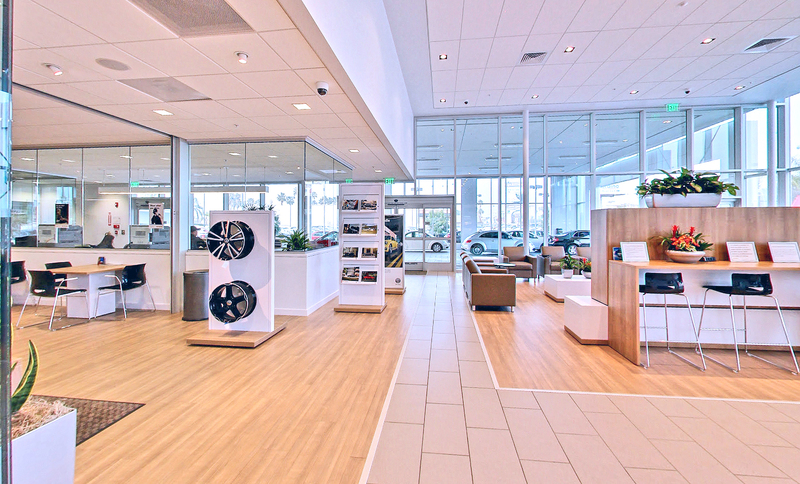 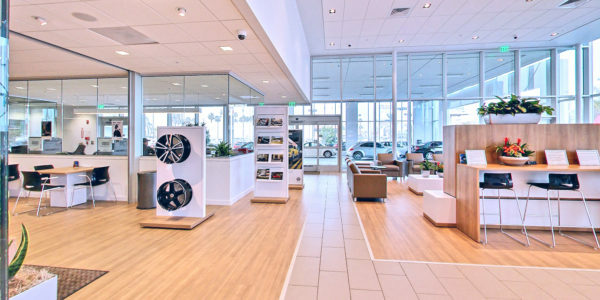 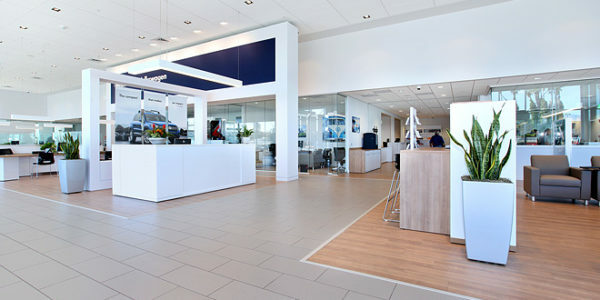 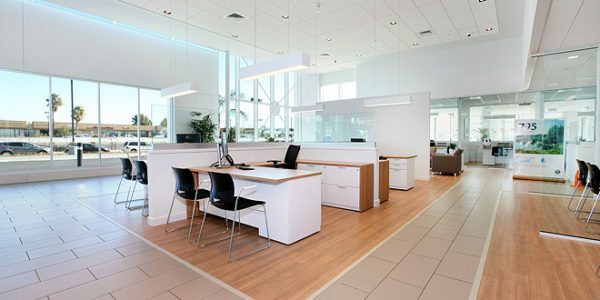 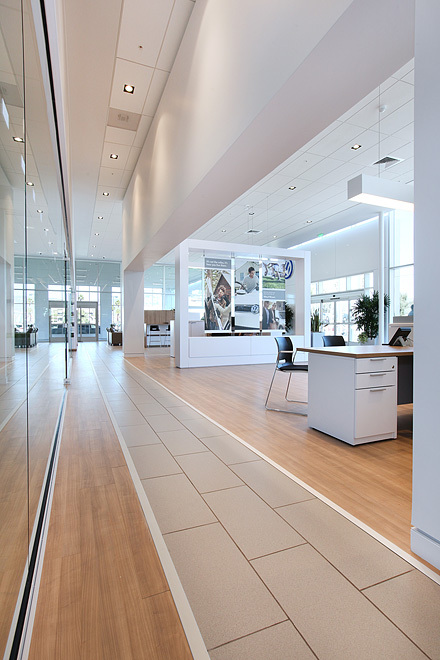 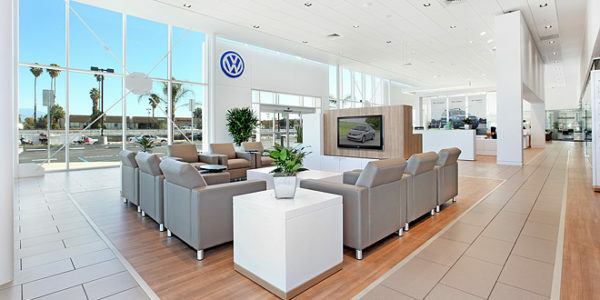 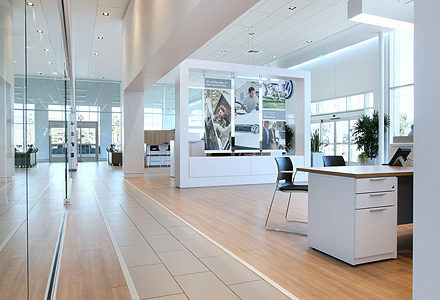 The earth tones utilized created a natural environment, which was complimented with outside light and white accents – a strong compliment to the VW brand.